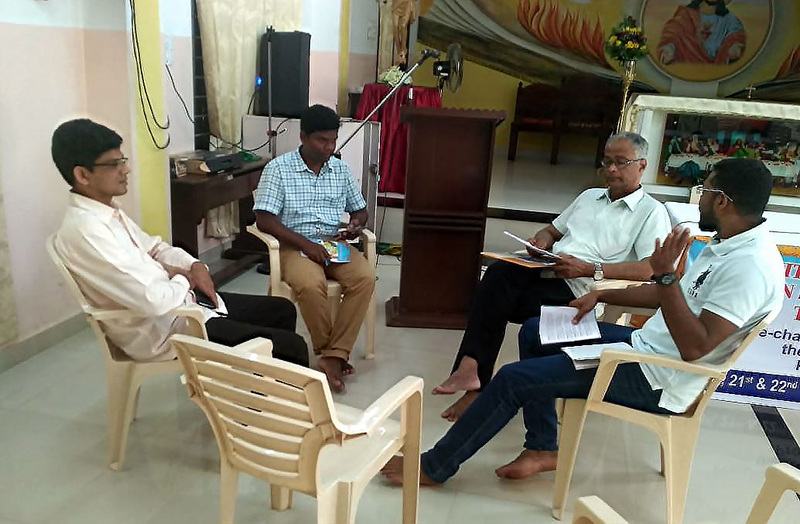 (Trivandrum, India) The third Pre-Chapter meeting of the Province of Bangalore was held at Muttada, Trivandrum at the Redemptorist Retreat Centre. It began on 20th November 2018 at 9:30 am with the Eucharistic celebration and ended on 22nd November 2018 by noon. 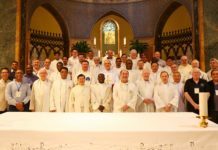 Twenty-eight confreres including the Provincial and the Consultors (OPC) participated in the meeting. Fr. John Mathew the Chairperson of the Preparatory Commission coordinated the sessions quite efficiently with the help of other confreres. The focus during the first two days was on the draft report on the state of the Province written and read by the Provincial – Fr. Arulanandam. This was in view of wider consultation and discussion on the Provincial’s report as all the members in the Province do not attend the Provincial Chapter. Clarifications and general comments on the report were sought and certain doubts were cleared too. For better participation and feedback on the report, all the participants were grouped into four different groups with an animator and a secretary for group discussions and presentations. There were several group discussions with relevant questions to be discussed and later the secretaries of the group presented a brief report to the entire participants. There were several other sessions on certain matters that were relevant to our mission in India. The Provincial Superior, Fr. Arulanandam highlighted in a very informative manner the present political and ideological challenges faced by the church in India. Fr. 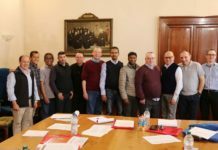 Assisi presented a very clear picture of the background and progress of the process of restructuring that is taking place in the Congregation and its implications on the Province. Fr. 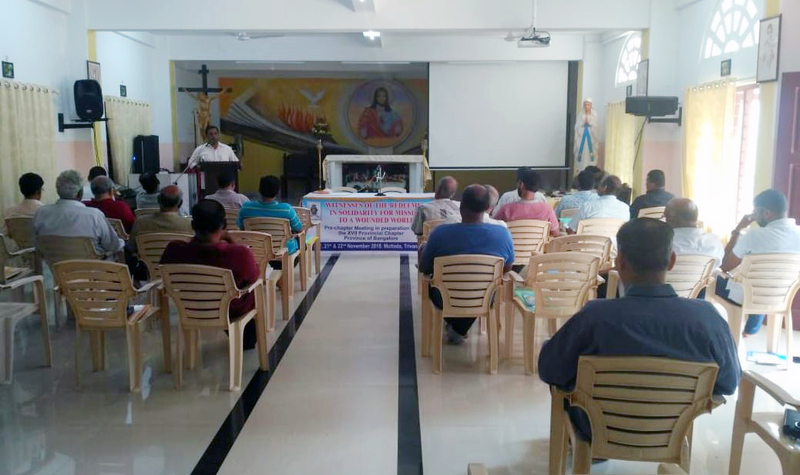 Edward did a systematic presentation on the process of identifying the apostolic priorities, core values and also the process of formulating the Unified Vision and Mission statement of the Province of Bangalore. Later he also presented a well prepared detailed evaluation of the functioning of the Sectors in the Province and its relevance to our mission in India. On the last day of the meeting, we had the discussion on the different Posutulatum that were sent by the confreres and accepted by the Preparatory Commission. Fr. Arulanandam later clarified certain aspects of the various Postulatum and gave his opinions too. He concluded the meeting with a few general comments on various matters in the Province and appealed for greater cooperation with the new Provincial team. The meeting concluded with the prayerfully sung Salve Regina after the vote of thanks by Fr. Edward. Confreres took an active role in all the sessions. 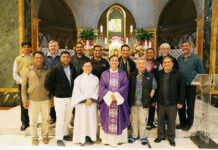 The role of the Redemptorist community with Fr. Christopher as Rector cannot be overlooked. They attended to the various needs of each confrere meticulously ensuring a pleasant stay with good nourishment, recreation, etc. 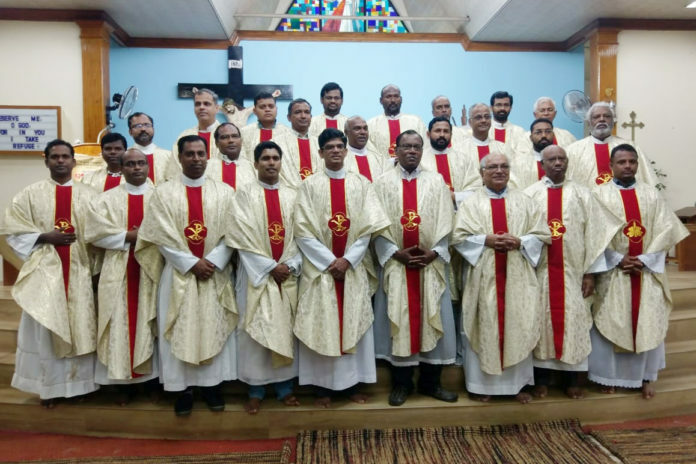 The special Mass along with the parishioners at our parish Holy Cross Church was certainly a blessing in order to celebrate 50 years of the presence of Redemptorists in Trivandrum. With HER there is Perpetual Help.